Earlier this week, Oscar Isaac was added to the cast of Dune. Now The Hollywood Reporter has revealed that Zendaya is circling a role in the film as well. If she joins the movie, Zendaya will play Chani, the love interest of Timothee Chalamet’s Paul Atreides. Chani is a member of the Fremen in Frank Herbert’s original Dune novel. By the time Paul and his family arrive on the desert planet Arrakis at the book’s outset, the Fremen have been living there for thousands of years. Because of the planet’s harsh environment, the Fremen trained themselves to peak physical perfection and became some of the most skilled fighters in the galaxy. Additionally, their frequent use of the Spice melange has given them piercing blue eyes. Sean Young starred as Chani opposite Kyle MacLachlan’s Paul Atreides in David Lynch’s Dune film in 1984. However, Czech actress Barbora Kodetová took over the role in Syfy’s 2000 Dune miniseries and its 2003 sequel. 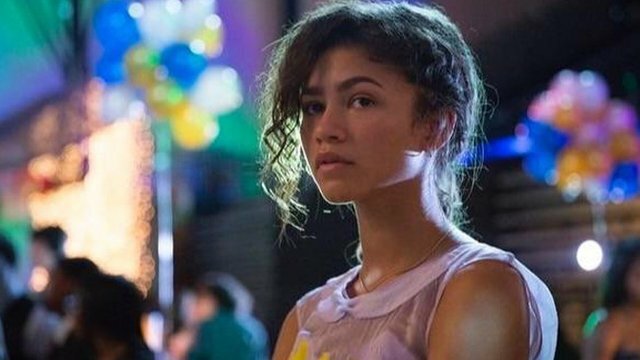 Zendaya will next be seen reprising her role as Michelle “MJ” Jones in Spider-Man: Far From Home. Aside from her work in the MCU, she recently appeared in The Greatest Showman and Smallfoot. She’ll also be headlining the upcoming HBO series Euphoria. Dune’s cast includes Chalamet as Paul Atreides, Rebecca Ferguson as Lady Jessica, Oscar Isaac as Duke Leto Atreides, Stellan Skarsgard as Baron Harkonnen, Charlotte Rampling as Mother Mohiam, and Dave Bautista as Glossu “Beast” Rabban. Denis Villeneuve will direct the reboot. How do you feel about Zendaya joining the cast of Dune as Chani? Share your thoughts in the comment section below!